Unluckily for the young Peter Cook, Richard Ingrams et al, quite a few thievish Soho-ites had removed the copies without placing the requisite payment in the honesty box. 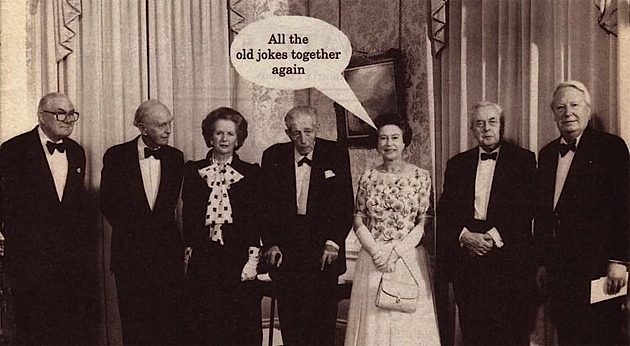 Fifty years on, the ‘roughly printed pamphlets‘ have turned into a British Institution, and its surviving founders and present editor, pillars of the media establishment. And yes, incredibly rare first issues of the Eye can fetch around a grand (depending on condition), though demand from ( I suspect ) present employees of the magazine mean that examples are extremely hard to find. Even the more common early copies from 1961/62 are very scarce. 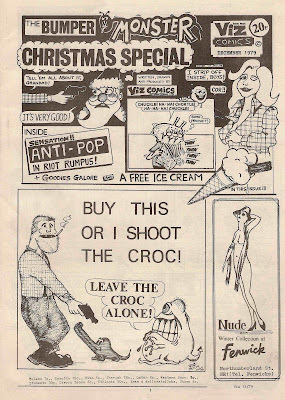 So, I began to wonder what was the story behind other style ‘pamphlets ‘that had became British Institutions.—Viz, for instance. 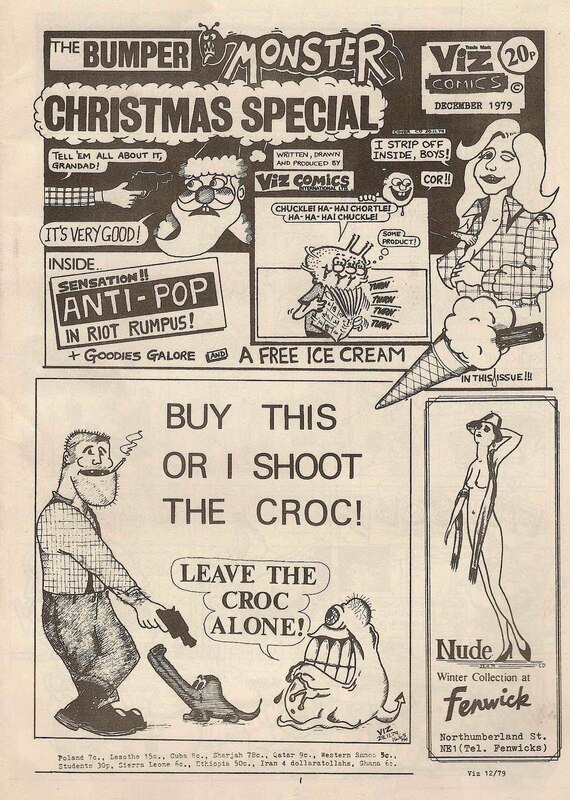 Back in 1979, when the incomparable chanteuse, Lene Lovich was enchanting us all, satirical artist Chris Donald produced the first issue of a magazine which was to raise puerile humour to new heights of comic inventiveness. Put together in a bedroom in his parent’s house in Jesmond, Viz comic had an initial print run of 150 and sold for 20p in a local pub. After this first run had sold out in hours, a new edition had to be run off. If you want to buy the particular copy from the initial run that Donald gave to a friend you’d have to shell out a mere $2,060 via ABE. 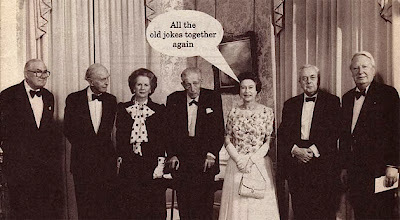 Punch, the Daddy of all great satirical magazines, but now sadly no more, also began unpromisingly. 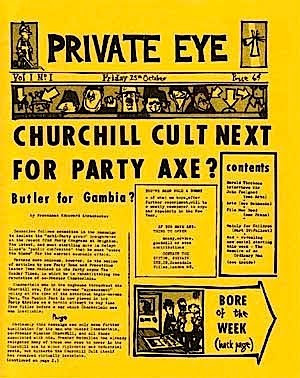 On17 July 1841 a small group of writers and artists who were friends, like the Private Eye crowd, saw a gap in the market for a satirical magazine and so the London Charivari was born. The print run was pretty large and so the first half-yearly volume of the magazine is not rare, though it can’t usually be found as a singleton. Don’t pay more than £10. The general rule of thumb it would seem is that the more primitive and/or basic -looking the first issues were of a magazine that later achieved cult status, the more appealing (and therefore more expensive) they are. So, it follows that the reverse rule applies. Take, for example, the more respectable Scrutiny and Horizon,. The former highly influential mouthpiece of the Leavis circle, began as a very professionally produced critical review in 1932 and so copies of the highly combative debut issue tend not to be too expensive. I got mine for about £1, which though very cheap, but the single copy on ABE of the same issue is a reasonable $112. 22. In contrast, the first issue of Spender and Connolly’s Horizon, which first appeared in 1940, looks much like the last and shouldn’t set you back much more than £20. The same goes for first issues of other significant magazines that began well and continued looking much the same for years and years. There are obvious exceptions to this rule. A first issue of Radio Times (1923) is currently on ABE at £300. A first issue of the less prestigious TV Times (1955 ) shouldn’t cost you more than £30, whereas The Listener might come in at around a fiver. There is no obvious logic in all this, apart from the law of supply and demand. I have Vol 1 No 2 And No 3. Curious to know their value. Also Xmas card signed love William !,, Would like to know possible value.